The following information was released by the Camden County Prosecutor’s Office on Sunday, Feb. 28. The Camden County Prosecutor’s Office and Cherry Hill Police Department are investigating a shooting in Cherry Hill that killed one person and injured another. 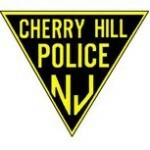 Cherry Hill Police were dispatched at approximately 2:24 a.m. on Sunday to the Inn of the Dove located at 725 Cuthbert Boulevard for a report of a person shot. As officers were arriving, police learned two shooting victims had been driven in a private vehicle to Our Lady of Lourdes Hospital in Camden. One victim, a 17-year-old juvenile from Camden, was transported from Our Lady of Lourdes Hospital to Cooper University Hospital, where he later died from his injures at approximately 3:37 a.m. The other victim, a 20-year-old Willingboro man, was treated at Our Lady of Lourdes Hospital and later released. Police determined the victims were shot inside a vehicle in the parking lot near the front entrance of the Inn of the Dove complex following an altercation at a party in one of the rooms. Anyone with information is urged to contact Camden County Prosecutor’s Office Detective Jim Brining at (856) 225–8439 or Cherry Hill Police Detective Ed Williams at (856) 488–7828. Information may also be emailed to ccpotips@ccprosecutor.org.